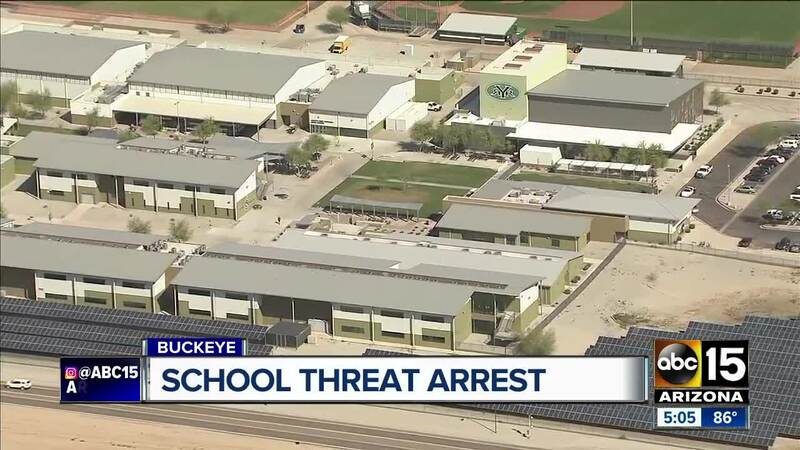 BUCKEYE, AZ — Buckeye Police Department says a juvenile has been taken into custody after posting an online threat toward an area high school. Officials say they were made aware of a Snapchat post around 8 p.m. Sunday. The post reportedly showed an unknown person holding a firearm, threatening to shoot people at Youngker High School on Monday. The post was shared throughout the community and several people called police for help. Police investigated the threat and located the individual who posted it. The suspect was booked into Durango Juvenile Facility and admitted to creating the Snapchat post and threat. A BB gun used in the photo was taken in as evidence. Officials say there is no current threat to the school. The suspect taken into custody was not identified.